Catweazle is a British television series, created and written by Richard Carpenter which was produced and directed by Quentin Lawrence for London Weekend Television under the LWI banner, and screened in the UK on ITV in 1970. A second season in 1971 was directed by David Reid and David Lane. Both series had thirteen episodes each, with Geoffrey Bayldon playing the leading role. 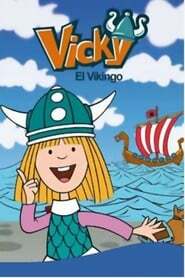 The series was broadcast in Ireland, Britain, Gibraltar, New Zealand, The Netherlands, Germany, Australia, Sweden, Norway, Iceland, Czechoslovakia, Nicaragua and Quebec. The first episode is available to view in full at the BFI Screenonline site. Catweazle - How much have you watched?